1.1 oz / 32 ml $13.74 ORGANIC. 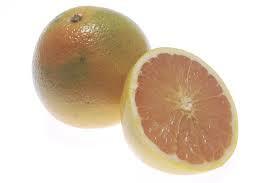 PART OF PLANT – Fruit peel from grapefruit. Antidepressant – uplifting in minor depression / eliminates stress and fatigue by inducing mild euphoria. Circulatory – increases blood circulation / reduces muscle stiffness. Lymphatic stimulant – anti-cellulite / reduces water retention. Skin rejuvenator – stimulates the liver to detoxify, and cleanses the kidneys, both of which cause the skin to become rejuvenated. SPECIAL – Has been known to help stabilize Bipolar personality disorder. PRECAUTIONS – Avoid sun for 12 hours after application.